Celebrated every March 29, Vietnam Veterans Day is set aside as a day for Americans to honor the courage and sacrifice of those who served in the Vietnam War. Officially designated in 2017 as National Vietnam War Veterans Day by President Donald Trump, the holiday is marked by ceremonies and celebration across the U.S. It marks the anniversary of the withdrawal of U.S. combat forces from Vietnam on this date in 1973. 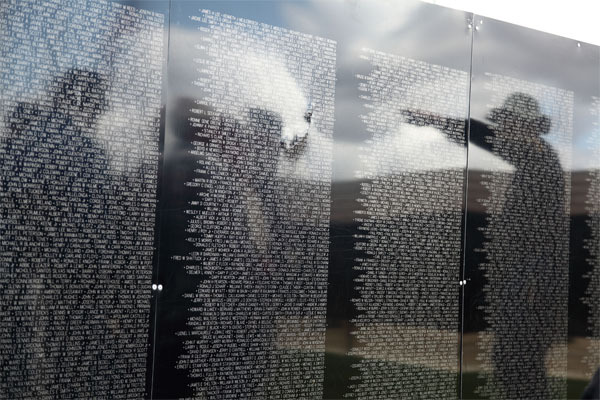 National Vietnam War Veterans Day is an opportunity to recognize and give thanks for all who served during the Vietnam War, including those who were wounded, gave their lives, or went missing. Even in the face of controversy and opposition at home, millions of Americans honorably answered the call to serve our country during this tumultuous time in history. And when those who were fortunate enough to come home finally returned, they were met by ugly protests, scorn and neglect. National Vietnam War Veterans Day is the heroes welcome they never received. It underscores the need to heal their painful wounds and allows us the occasion each year to pause and give respect, admiration and thanks to the patriotic men and women who sacrificed so much in service to their nation. To our Vietnam Veterans, we say thank you for your service, and welcome home!